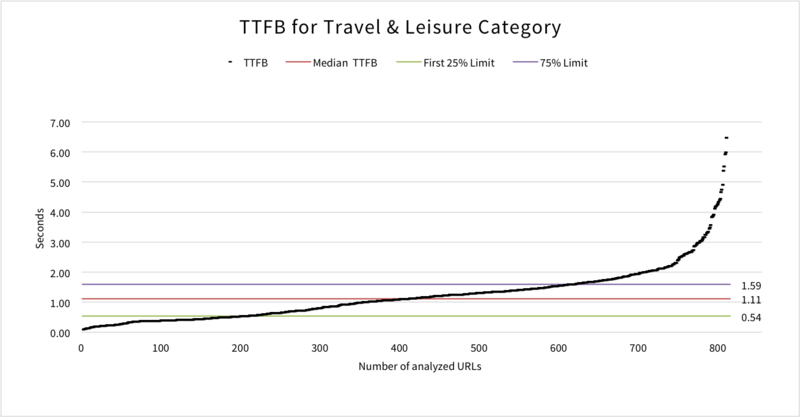 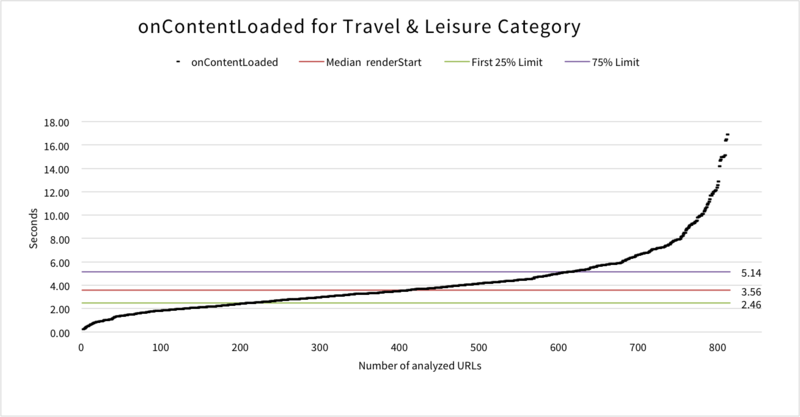 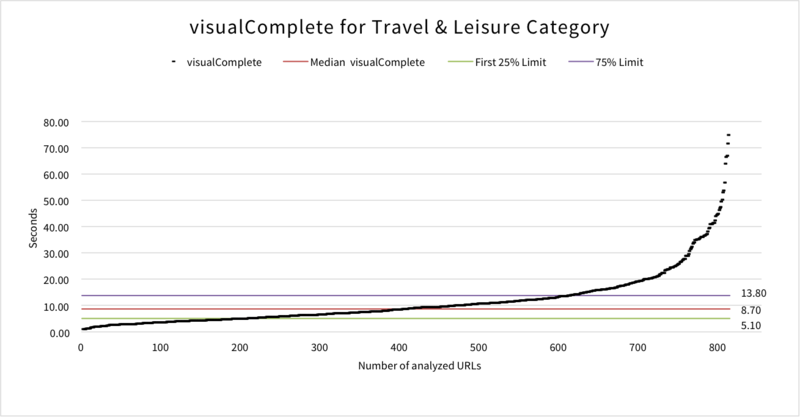 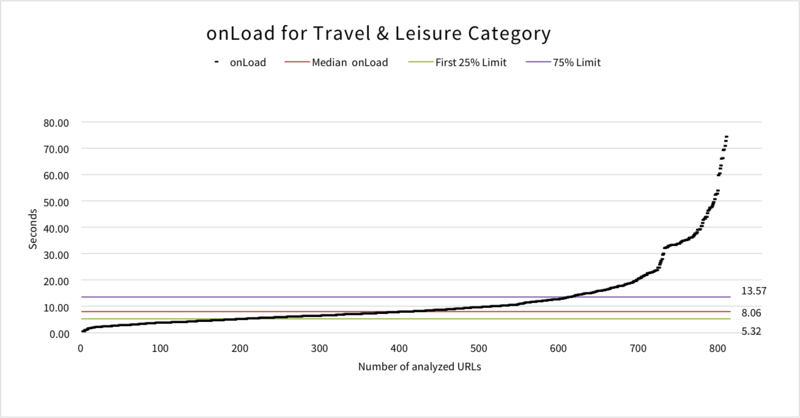 Travel & Leisure is the 2nd biggest category in this Mobile Site Speed Benchmark and represents 16% (815 URLs) of the UK Top 5,000 websites. 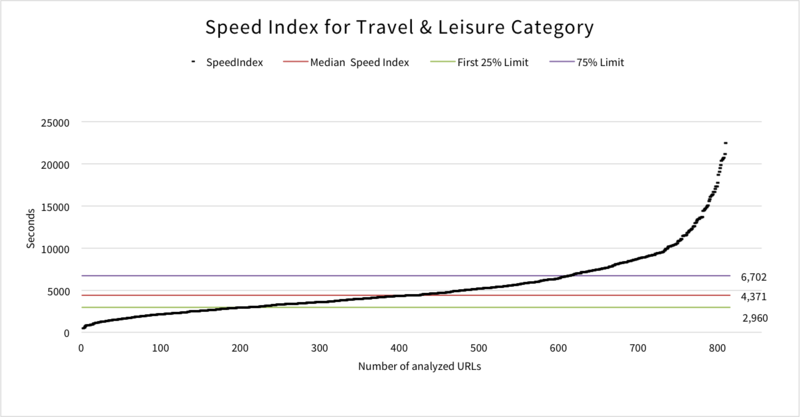 This category is one of the worst out of the 12 sectors for average Speed Index, with a value of 5,544. 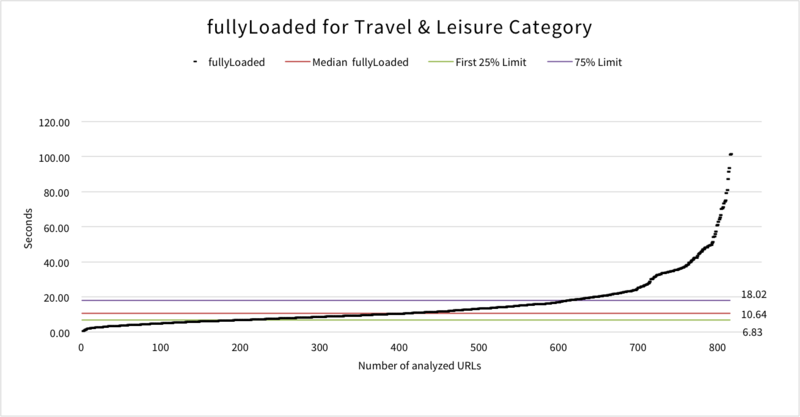 Sites in this category include: Legoland, Costa, Travelodge, Trivago, AirBnB and Warner Bros Studios.